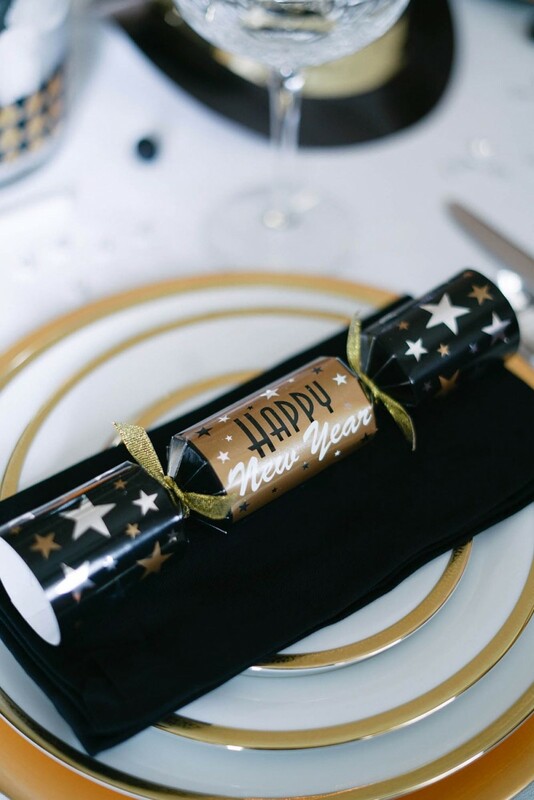 As you saw from my previous post, New Year’s Eve is on my mind! 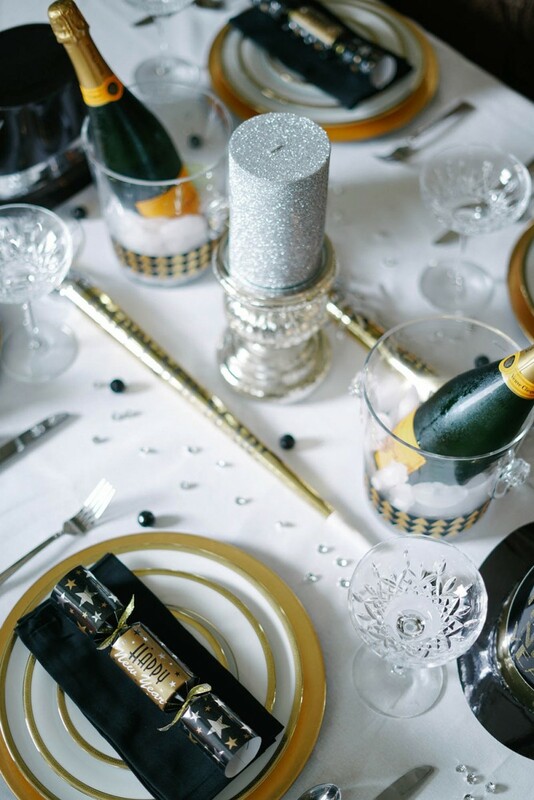 Today I am sharing with you our New Year’s Eve table decor and perhaps give you a bit of inspiration. 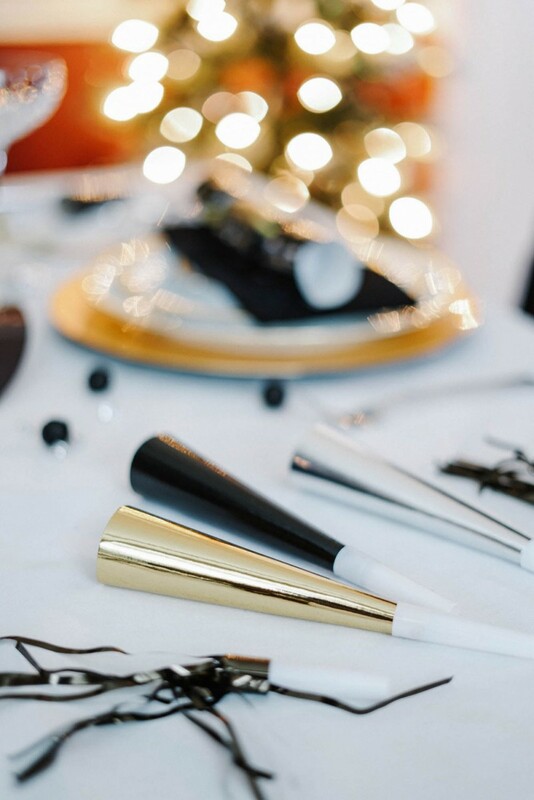 We went with a black and gold theme which is pretty common when it comes to New Year’s Eve decor. 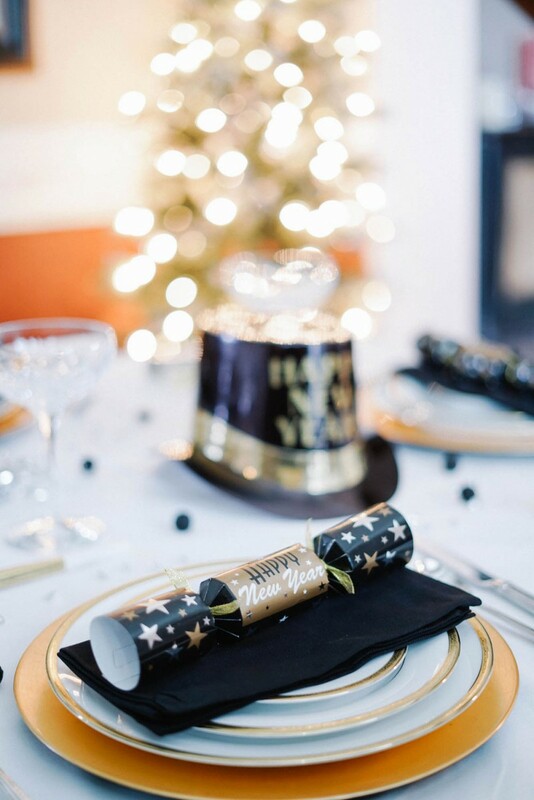 For the centerpiece, I used the same candle holders that were used for the Christmas centerpiece. 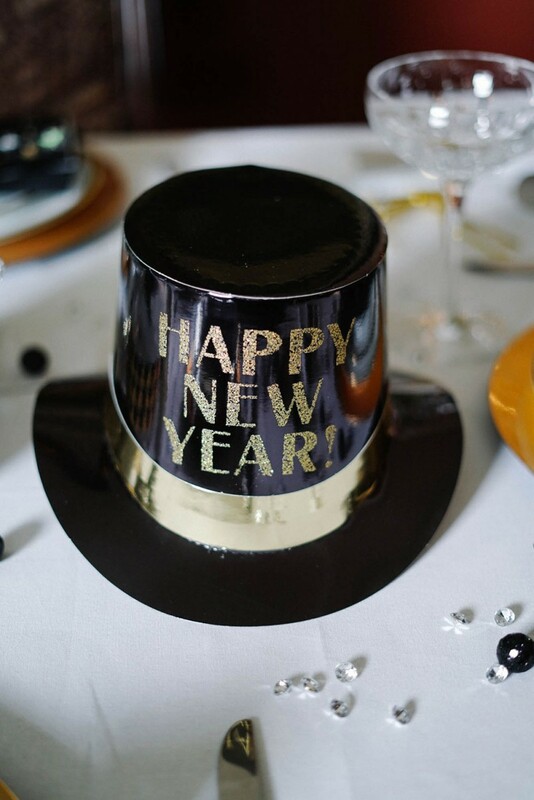 I added some black paper top hats to give it a New Year’s Eve vibe. Then I placed some small ice buckets in between them that I found at HomeGoods. 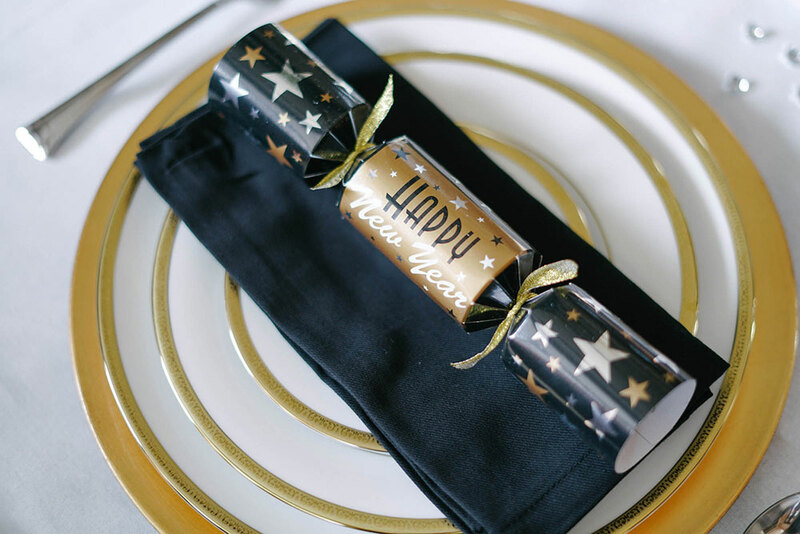 For the plate setting, I used a gold chargers as the base and white plates with a gold trim on top. 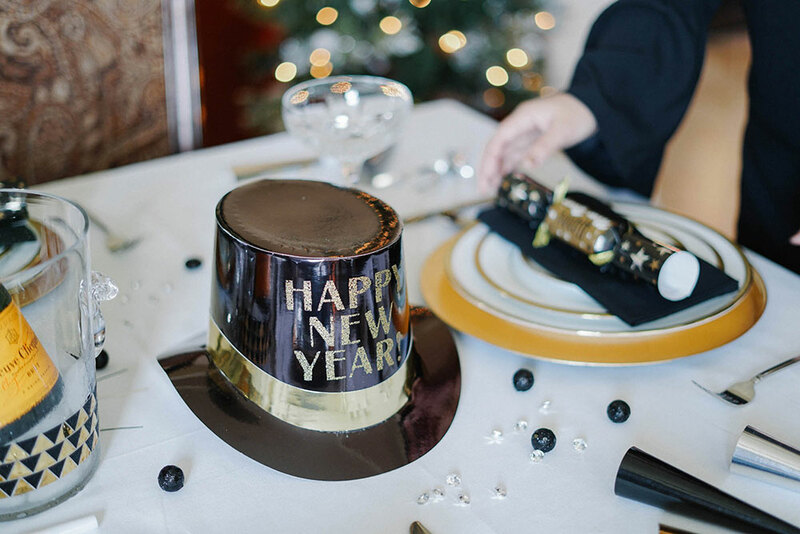 To bring in the black color from the centerpiece, I placed black napkins on top of each plate setting and topped those off with a New Year’s Eve confetti popper. 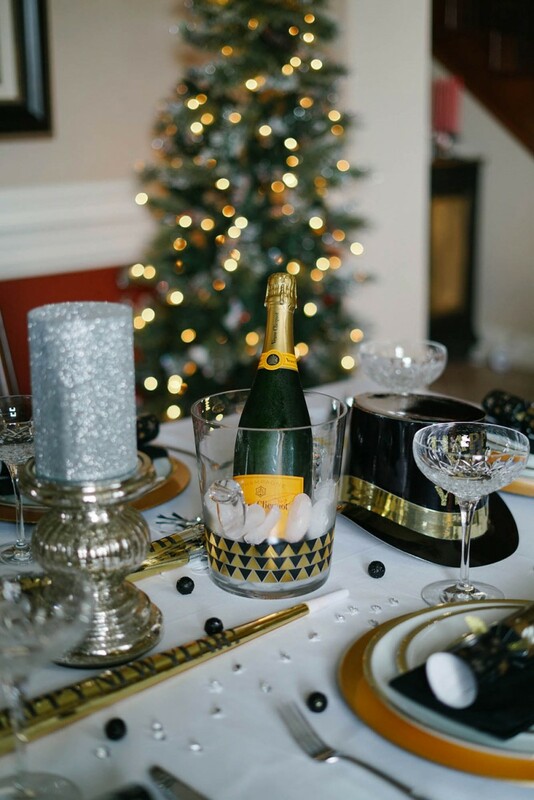 After all this, just a few small details were used to fill up the empty space on the table. 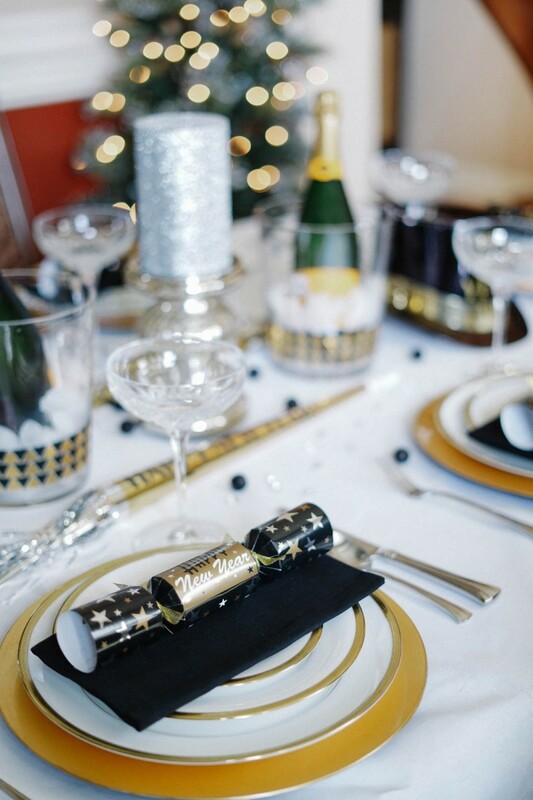 This also gave it a more festive feel and brought it all together. 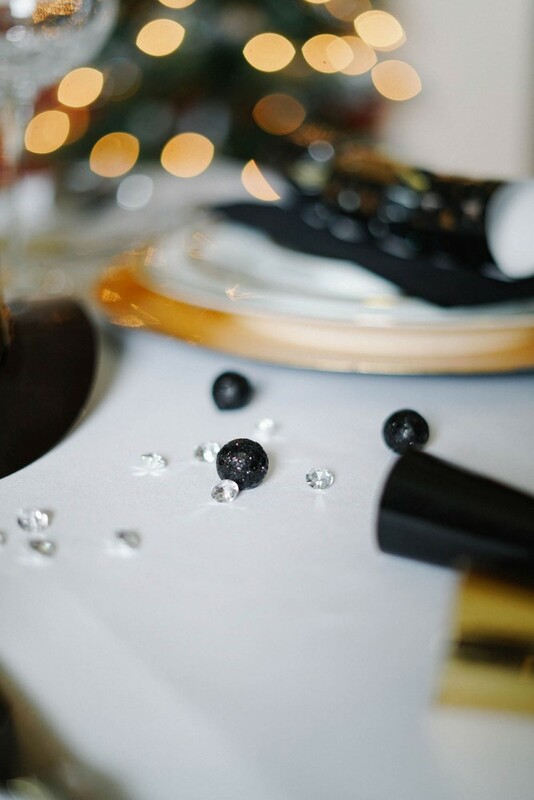 I placed a few party horns on each end of the table and then threw some tiny black balls and faux diamonds all throughout the center of the table. These simple additions made a huge difference and it was all pretty cheap!